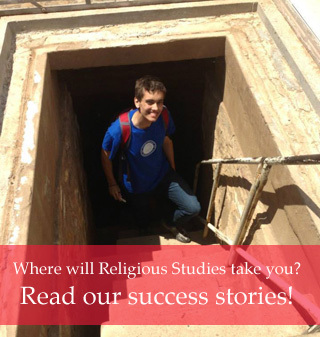 An introductory guide to research in Religious Studies. In this guide are recommendations for reliable, scholarly websites and databases containing thousands of articles from respected religious studies journals. Bibliography on women and religion, organized alphabetically by author's last name. Research guide on women and gender in the ancient world, searchable by keyword or subject. Includes bibliographic entries for gender and the ancient Near East, Old Testament, Apocrypha/Pseudepigrapha, New Testament, Classical Studies, Rabbinic/Mishnaic Studies, and Church History. Bibliography for materials relating to religion and science. This guide provides information and resources for anyone interested in learning about social justice. A collaborative project to digitize and make available materials from endangered archives around the world. Contains collections from Africa, the Americas, Asia, Europe, and Oceania. The Religious Literacy Project at Harvard Divinity School is dedicated to enhancing and promoting the public understanding of religion. The Project provides resources and special training opportunities for educators, journalists, public health workers, foreign service officers, interfaith/multifaith groups, students, and others wishing to better understand the complex roles that religions play in contemporary global, national, and local contexts. Search by professional discipline to access religious literacy toolkits: the discipline's code of ethics, recent research, professional organizations, and other resources providing information regarding religion's unique influence on each discipline. The Theological Commons is a digital library of over 110,000 resources on theology and religion. It consists mainly of public domain books and also includes periodicals, audio recordings, photographs, manuscript collections, and other formats. The Theological Commons includes books scanned at libraries and cultural institutions both nationally and internationally. The largest percentage of works in the Theological Commons has been contributed by the Princeton Theological Seminary Library. This collaboration between the Wabash Center, the American Academy of Religion (AAR), and the Society of Biblical literature (SBL) makes available more that 1800 syllabi submitted by professors in a wide variety of subfields in religious and theological studies.